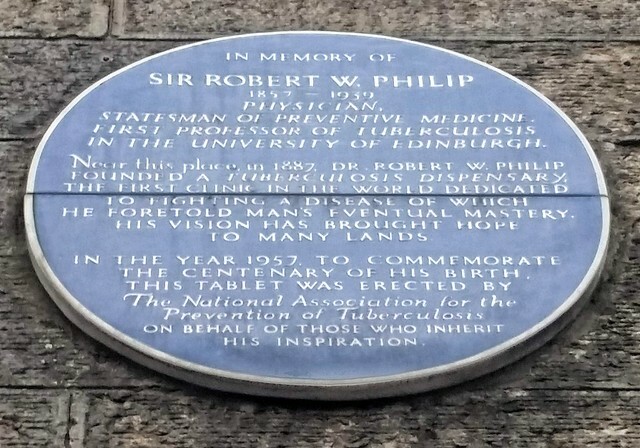 In memory of Sir Robert W. Philip 1857-1939 physician, statesman of preventative medicine, first Professor of Tuberculosis in the University of Edinburgh. 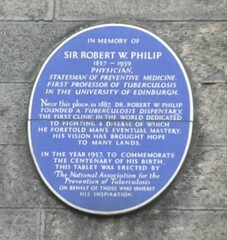 Near this place, in 1887, Dr Robert W. Philip founded a tuberculosis dispensary, the first clinic in the world dedicated to fighting a disease of which he foretold man's eventual mastery. His vision has brought hope to many lands.